WARNING: This novella is a companion book to TROUBLE IN MUDBUG. You should not read this novella prior to completing Trouble in Mudbug. The novella contains major spoilers for the novel and would not make sense if read beforehand. Do you love Helena Henry? Did you wonder what she was thinking during Trouble in Mudbug, or what she was up to when she was off-page in the novel? If so, then this novella is for you. 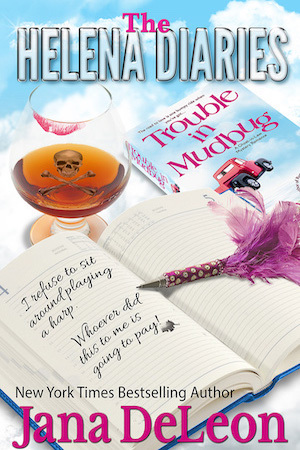 All of Helena’s thoughts and actions during Trouble in Mudbug, compiled in a diary for you to enjoy.